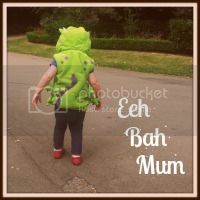 This a spin off of the popular ‘Things you will do as a parent you will not like’ series on my blog. Like most spin offs it’s not quite as good as the original and leaves you feeling a bit sad about life. Joking! It’s ace just not as ace as the last one. Probs. And you’re fucked. That’s it you’re definitely a parent now. Immediately you start to look back with fondness on the days when you were just pretending. I have a photo on the mantelpiece of my friends and I watching the sunrise at Glastonbury festival one year. We are all wrapped in a blanket wearing deely boppers swigging warm wine. Every time that photo hears me say ‘It’s got great schools’ the drunk girl with the deely boppers fades away, pretty soon there will be just a dark shadow remaining where my face was. But that’s OK ‘cos we live in an area that has great schools. There are pants in the* washing basket that I do not recognise. A bit like the UN doesn’t recognise Somaliland but swopping international politics for soiled knickers. On the small screen a mother of two finding mystery pants in the wash would be the start of a fantastic new soap storyline, but these are not lacy black pants belonging to my disappeared-sisters-business-partners-wife who I donated a kidney to 6 months ago. These are tiny pink pants with Hello Kitty on the front and a poo stain on the back. Because when you have small children they sometimes come home in entirely different outfits to the one you sent them out in that morning. Best not to ask why. *in the first draft I wrote ‘my’ washing basket but then I remembered my feminist credentials and disowned the wicker fucker. Where are all my tights? There are two females in our house. Eeh Bah Mum, 42 and Eeh Bah Daughter, 4 quite how our clothes get mixed up is a mystery to me. ‘But it’s a t-shirt with a tiger on it!’ he exclaims. Yes darling it’s Kenzo. It’s mine. For some reason tights cause the biggest problem, my daughters tights have stars, rainbow stripes and unicorns on them, mine are black M&S 60 deniers. Don’t get me wrong I would LOVE a pair of unicorn rainbow stripe tights but I think Mr Eeh Bah would probably hurt himself laughing. Also M&S selling funky adult tights feels a bit too much like it might be one of the signs of the Apocalypse. Don’t lick what? you ask. EVERYTHING. What is it with small children and licking things? I get the baby development stage where stuff goes straight in the mouth to explore but why are my children still doing this now they can walk and talk? I asked why they were licking the platform at Leeds train station and was told that they were trying to see if they could taste the trains. Expect to see the results of this in depth sensory experiment published soon. Probably in the pre school newsletter. Sorry Sweetie, the ride is broken. I don’t like lying to my children but it works so damn well. I have told them: children aren’t allowed full packets of crisps, ALL Thomas the Tank Engine rides are broken (universal design fault) and it’s illegal to wee in the flower beds in town. Actually that last one might not even be a lie. As for the rides outside the supermarket being broken everyone says this, apart from one evil parent who insists on ruining it for everyone else, innocently coughing up 50p outside Sainsbury’s. Do you think they know how much everyone else hates them? Which twisted individual came up with the idea to have rides outside Tesco’s in the first place? Hey Mr Supermarket Bigwig next time you’re trying to attract customers into your store why not just take the frickin’ rides away instead of handing out crappy price match vouchers for 7p off our next shop? I will PAY you the price match difference if you take that stupid plane ride away. I’m off to do the supermarket shop. Without the kids. I might treat myself to a ride on the plane….. This entry was posted in Uncategorized and tagged good schools, M&S, mystery pants, rainbow unicorn, supermarket rides, tesco, things parents say, tights, why do children lick stuff?. I am always lying about stuff being broken! Eldest is four though and starting to question me…bah. Have only just discovered your blogs, they’re fantastic! I can totally relate. I lie to my kids too! ‘Softplay isn’t open after school’, ‘the swimming pool is closed cos someone poo’d in it’, ‘the police come to the door if you’re not in bed by 8’.. I know I shouldn’t lie to them but it’s easier and whinging hurts my ears. MLSOB (2yrs old) loves going on those Tesco rides without money being inserted. I just love having a short break from him demanding to get in and out of the trolley. I have to pretend I want to go every five minutes so I can continue to check twitter on my phone and he thinks he’s winning. Oh yes, what is it with the licking? I made the fateful mistake of saying, ‘Don’t lick that, you’re not a cat’ to my daughter. Obviously she would LOVE to be a cat and therefore licks everything that doesn’t run away. And some things that do. With you 100% on those rides too, good job they break so easily. I lie all the time. My favourite being ‘ the play park is closed cause it rained’ or ‘the man (lady?) forgot the key..’. (to open to the park)., I also make up, in no particular order, monsters, trolls (elaborate a lot – am half Norwegian so have a lot to draw on Troll-wise) , dragons, magic, etc. I am very grateful to’ Ben and Holly’s Little Kingdom’ as anything ridiculous thing I say know pales in comparison with ‘Big Bad Barry’. etc I am planning to make some sushi with my 3yo on Saturday (yes, I know…we like fish ok?) and may just tell him it’s Big Bad Barry…muahahaha! Too far? The tights. Oh god, the tights. Last month I went to an early morning meeting at work wearing the most uncomfortable tights ever. Turned out that’s because they were age 11 navy school tights.